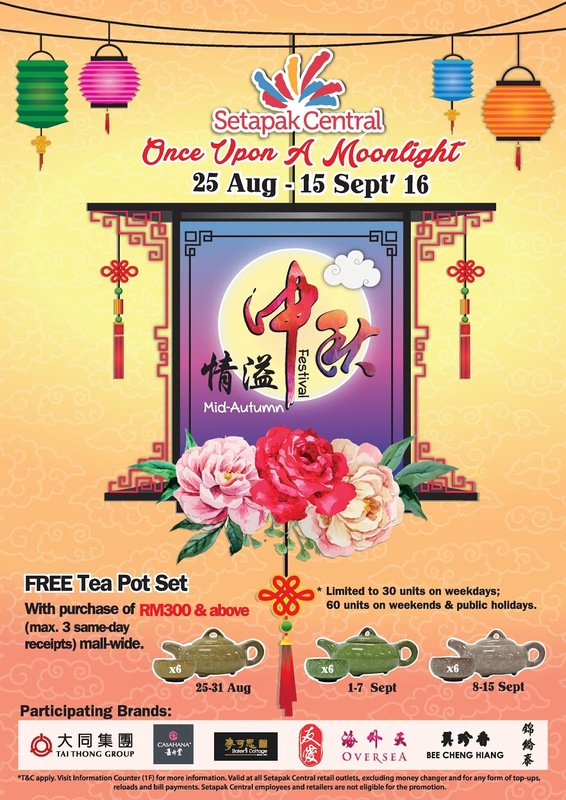 Setapak Central lights the Mid­Autumn Festival with a bigger and brighter celebration themed “Once Upon A Moonlight” this year. From 25th August until 15th September , Setapak Central embraces the tradition of celebrating Mid­Autumn by showcasing a giant revolving lantern with Chinese motifs signifying auspicious components of traditional Chinese culture . The Mid­Autumn Festival is said to be the second most celebrated festival amongst the Chinese community. This Festival is celebrated when the moon is believed to be the biggest and fullest in Autumn. Eating Mooncakes, hanging and playing with colourful Lanterns, appreciating the Full Moon which symbolises family togetherness and family reunion is some of the favoured activities during this Festival. At Setapak Central during the Mid­Autumn Festival, shoppers can indulge in a wide array of delicious mooncakes from trusted brands such as Tai Thong, Casahana, The Baker’s Cottage, Yu­Ai, Overseas and Kam Lun Tai. 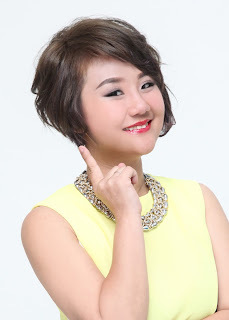 Celebrants looking for some special gourmet delights can also look forward to Bee Cheng Hiang’s booth as they dish out juicy barbecue meats and meat floss. Shoppers can also enjoy specials during this Festival, such as a FREE tea pot set with purchase of RM300 and above (a maximum of 3 combined receipts on the same day) mall wide. The special, classic teapots are limited to 60 units on weekends and public holidays and 30 units on weekdays.